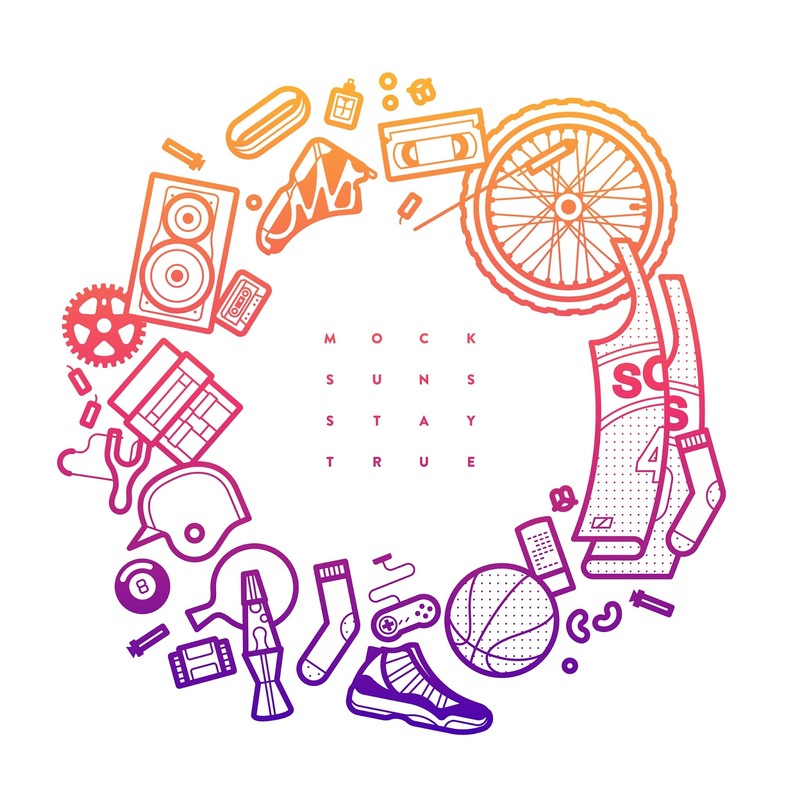 Mock Suns are a four piece from Philadelphia, and this is their latest single Friday Night. These guys perform a kind of psychedelic rock that grabs all elements of the genre from decades past and churns out some wonderful music that coincides nicely with the notion that it is indeed Always Sunny in Philadelphia. Their third album Stay True will be released on March 8th, but for now let’s just enjoy Friday Night. Warm synths flood the introduction alongside a sweet piano melody which acts as the catalyst for the track while uplifting vocals croon out beside it, immediately creating an atmosphere that’s intimate and as if the band are simply performing to you and only you. The intimacy soon dissipates for the chorus as Mock Suns throw all kinds of distorted guitars into the airwaves which perform either a solid block of noise or a shredding lead riff which just sounds glorious at this point. Once this eruption of sound says hello Friday Night soon incorporates it into it’s sound as the finale becomes a wonderful collision of sweet piano chords and tremendously fuzzy noise. Friday Night is an excellent tune from Mock Suns. The way the band have combined the soft sounds of the piano with the hard edged, fuzzy sound of garage rock is astounding as it has resulted in a track that is full of melodies, riffs and reasons to look forward to their new album. Check out the video to Friday Night below; look out for Mock Suns’ new album Stay True on March 8th and for more reviews, interviews and good music check out Exploding Head Syndrome on Facebook and Twitter.